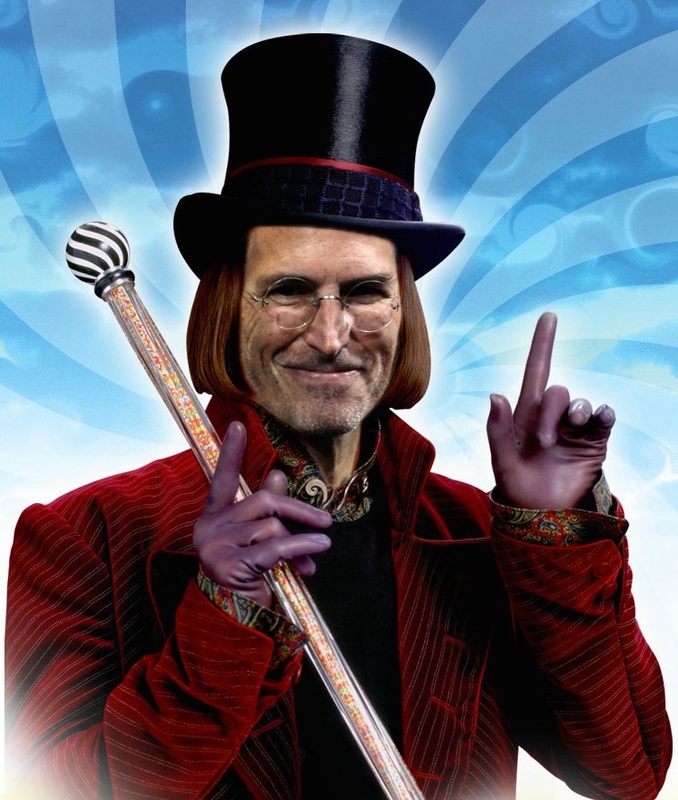 Steve Jobs has always been known for his incredible showmanship. Discover how it came to be. Apple is famous for its entertaining, world-class product presentations, that attract press coverage (read: free advertising) from the entire world — and there is no debate as to who built this reputation. Steve Jobs's celebrity and charisma made him "the closest thing to a rock star in the world of business". During his second tenure at Apple, between 1997 and 2011, he appeared 4 to 7 times a year (when he was healthy, of course) to unveil new products during one of his trademark 'keynotes'. While he was notoriously a capricious speaker who refused to rehearse in his late twenties, he perfected his art at NeXT, and came back to Apple as the best showman of the industry. The Apple keynotes were more common in the early 1990s, because broadband Internet and video streaming were far from mainstream yet, making it necessary for Steve Jobs to physically go and preach the Apple gospel in several cities, and for the company to hold conferences to show off their new products. At the time, Jobs spoke at Macworld San Francisco in January, at Macworld Tokyo in February, at WWDC in May or June, at Macworld New York in July, and at the Paris Apple Expo in September. He also spoke at discrete media events and often at the desktop publishing conference Seybold. As the 2000s progressed, keynotes became rarer. Not only had online video streaming become widespread, but Apple could rely on its chain of retail stores to show off its new products. The company even justified its progressive withdrawal from all Macworld shows by the increasing number of visitors to its stores. 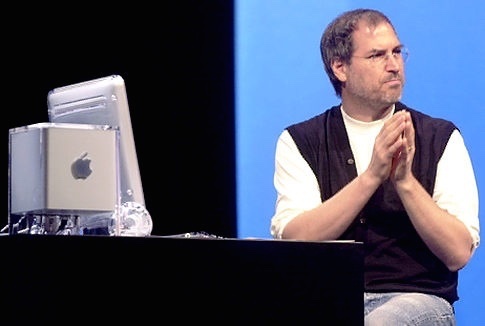 Toward the end of Steve's career, he only made about four keynotes a year, including the developers conference (WWDC) keynote in the summer, and the iPod event in the fall. The beauty of keynotes was that the whole show appeared completely seamless, one segment following another in an almost natural way. Of course, they weren't natural at all: they were prepared for weeks, scripted and rehearsed and re-rehearsed, not only by Steve and the other speakers, but by any employee whose product was mentioned in the presentation. They were one more example of Apple's operational excellence, as there is no doubt that very few companies could pull something similar off; starting with the absolute secrecy of the company, the key ingredient to make product introductions interesting and new to the audience and the media. 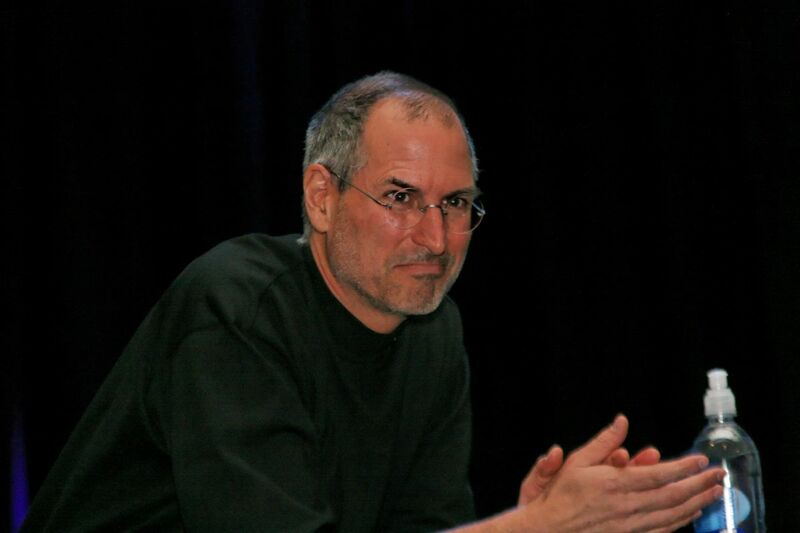 The most common term to describe Steve Jobs's charisma is 'Reality Distortion Field'. It was coined by Mac software engineer Bud Tribble in the early 1980s: "Steve has a reality distortion field. In his presence, reality is malleable. He can convince anyone of practically anything. […] The reality distortion field was a confounding melange of a charismatic rhetorical style, an indomitable will, and an eagerness to bend any fact to fit the purpose at hand." Although it was invented to qualify Steve's one-to-one arguments, especially with his product team, the expression is now a cliché in describing Steve's persuasion during product introductions. 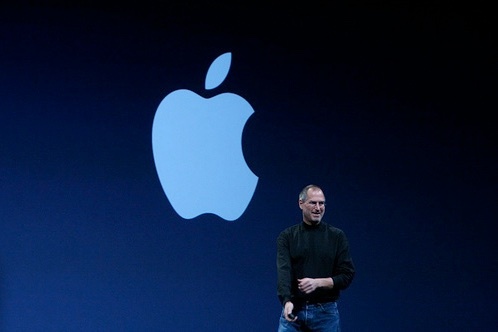 While it is true that watching any keynote makes one want to get one's hands on the new products as soon as possible, it is incorrect to attribute this to Steve's magnetic charisma alone. Yes, he had a natural talent for onstage speaking — but his keynotes were as prepared and calculated as an event can get. Ex-Apple employee Mike Evangelist described them as such: "To a casual observer it is just a guy in a black shirt and jeans talking about some new technology products. But it is in fact an incredibly complex and sophisticated blend of sales pitch, product demonstration and corporate cheerleading, with a dash of religious revival thrown in for good measure." Note: the source for most of the content below is journalist Adam Lashinsky's Inside Apple and ex-Apple employee Mike Evangelist's Writer's Block Live. The launch of a new product at Apple is often called 'the death march' because of the very intense work that is demanded of everybody involved, not only engineers, but also marketing and logistics people, to meet deadlines. This is especially true when a product launch has been scheduled for an Apple event, and/or has to meet a cyclical deadline such as the start of the holiday seasons. And when a product made it to Steve Jobs's short list of demos at one of his keynotes, most employees working on it could say goodbye to peaceful nights, weekends or holidays, no matter how long they had planned for it: "executives told all-too-common stories of having personal time off ruined because of an urgent 'Steve request.' They went like this: 'On vacation my product was going to be in a keynote, and I had to jump on a plane and rehearse all weekend'." This was especially the case before Macworld, the year's most popular event, which was held one to two weeks after New Year's Eve. The reason for these last-minute requests was that every part of the show had to be perfect, including the demo of software that was not always 100% ready to ship: "Although development and release schedules are set far in advance, [Jobs] still has to satisfy himself that the chosen products are keynote-ready. For software, this can be hard to decide: the engineering work is usually still underway, so he will make a preliminary determination based on seeing unfinished software. More than once this has caused some tense moments in rehearsal when programs haven't behaved." Not only did the software have to be tweaked to be stable enough for a show, but its content had to shine, too. For years, Steve Jobs used video content for his iMovie and iDVD demos, that was sometimes from Apple employees — but if not satisfying enough, it was shot for the demo only. This happened in anticipation of Macworld 2005, when a camera crew was sent to Hawaii at the last moment to shoot a wedding for a few minute's worth of demo of iMovie. This was sometimes the case for hardware too. An example comes to mind with the prototype iPhone that was showed off at Macworld 2007, six months before its release date. The demo iPhone Steve Jobs used was hooked up to a huge projection screen, so that the whole audience could see what was happening on the screen in full detail. No other iPhone was capable of this for years: it was because custom hardware had been built (i.e. hundreds of hours for hardware and software engineers) just for that demo. It is not easy to find another company that would make product introductions so high on their list of priorities that it would get hold of resources allocated on the development of actual products. Apple did, and that is one of the reasons their products were so successful. How is a product introduction prepared? "People working on launch events will be given watermarked paper copies of a booklet called Rules of the Road that details every milestone leading up to launch day", and for each of these milestones, the name of the employee responsible for its success (the DRI, see Steve at Work). This included the aforementioned steps of perfecting software, highlighting key features for demos, creating content, etc. Former Apple developer Matt Drance recalled the experience: "I worked at one point for 72 sleepless hours for something that Steve Jobs showed on stage for 9 seconds. It's top three, if not no. 1, of my professional achievements. It didn't look any different on that screen as it did on mine, but it was the knowledge that it was good enough to be on the stage that made it suddenly look different. I'll never get that chance again, and I'm glad I had it." Then came the time of the rehearsals. If you were an Apple employee, you had to script and rehearse your part several times, first with your team, then in front of your successive bosses, leading up to Jobs. The same applied even for guest speakers: "one partner executive recounted spending a week and a half in Cupertino leading up to an Apple product launch. 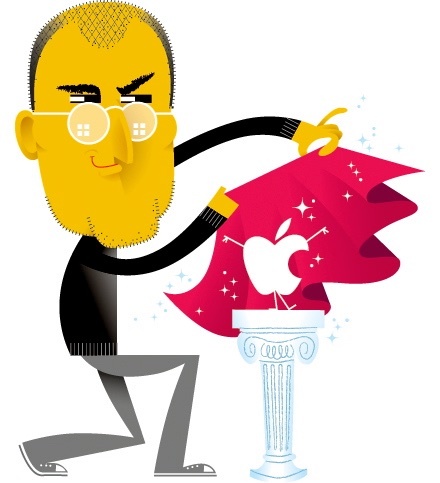 He presented to an increasingly senior list of Apple executives, culminating with Jobs." Another recalled: "They told us — didn't ask us, told us — what time the rehearsal was, what [we] should wear, and what [we] should say. There was no discussion about it". Steve Jobs applied the same strict rules to himself, of course. He spent the two days preceding the keynotes rehearsing. "On the first day he worked on the segments he felt needed the most attention. The product managers and engineering managers for each new product were in the room, waiting for their turn. This group also formed Steve's impromptu test audience: he would often ask for their feedback". At this time he could still change the order of the presentation's mini-segments, and rearrange them to have the most impact. Then "on the day before showtime, things get much more structured, with at least one and sometimes two complete dress rehearsals. Any non-Apple presenters in the keynote take part on the second day (although they cannot be in the room while the secret parts [the product introductions] are being rehearsed.)" Finally came the time for the actual keynote. This was a hugely stressful moment for most people involved — including high-profile CEOs who were not all used to such large audiences and spotlight from the media. (Fox Entertainment CEO Jim Gianopulos told Jobs about his stage anxiety, to which he replied, "It's easy, you just imagine you have a few friends sitting around your living room and you're telling them what's new"). For Steve, it always came off as a brilliant and flawless performance that got everyone listening absolutely captivated. Although they were rare, he did have some embarrassing moments on stage, but he never lost his cool, and often even managed to joke about it: everyone remembers the clicker that stopped working at Macworld 2007, which made Steve contortion to distract the audience. 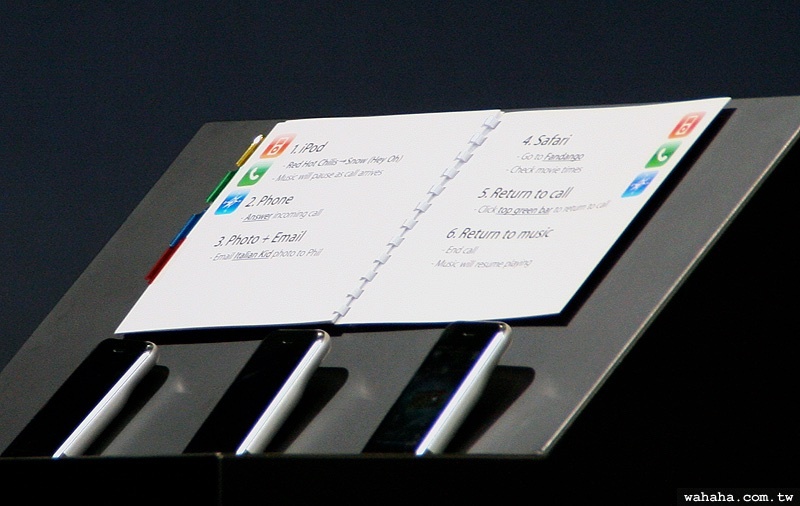 Steve Jobs keynotes were the most important and efficient means of communication for Apple. After all, this is how most of the world would ever see Apple — and Jobs, for that matter. They were used not only to attract the media's attention to new products, or to boost the faith of Apple fans worldwide, but even as an internal tool of communication. Indeed, the secrecy of the company made it so that most employees heard of their company's strategy and new products at keynote unveilings, while watching them in closed circuit TVs on campus. 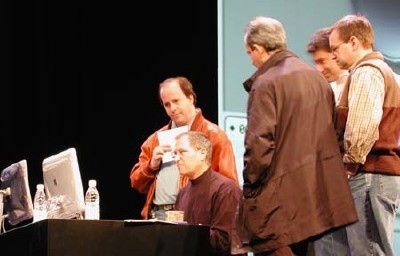 After watching Jobs unveil the iPhone in 2007, Steve's old friend Alan Kay qualified the show, often considered Steve's best, with the words: "Steve understands desire."